Emotions are integral to everything we do – for every situation we encounter there will be an emotional response. Emotions are complex and they result in verbal, physiological, psychological and ultimately - behavioural responses. Emotion is often the driving force behind motivation, positive or negative, and for many of us, life is given its meaning and even enjoyment through emotional expression. For decades now, organisations have invested heavily in the application of emotional intelligence as a key tool to develop excellent leadership and to build positive cultures. Emotionally intelligent leaders are able to drive performance, make better decisions, engage their staff and create happy and productive workplaces. Given the efficacy of emotional intelligence as a leadership tool – it becomes obvious that its use is not limited to the office environment but is relevant in any domain that features leadership and the organisation of people towards a goal. One of those domains is sports coaching. Emotional intelligence is defined as the ability to perceive, understand, express and reason with emotions – our own and other peoples. To be emotionally intelligent, you don’t necessarily have to be “emotional” but you do have to exhibit behaviours which are constructive and productive and use emotional awareness to guide moment-in-time decision making. We have all interacted with someone who lacks emotional intelligence. We leave that interaction frustrated and wondering how anyone can be so “ignorant”. Conversely, when we interact with someone who IS emotionally intelligent, we are energised and invigorated by the experience. Coaching athletes is a big responsibility. We have moral and ethical considerations to manage in addition to the usual performance based objectives. We are in effect in a position of leadership and the usual rules of excellent leadership apply to us whether we like it or not. Our behaviour as leaders will positively or negatively impact the performance and engagement of our athletes. We have the opportunity to create experiences for young and often impressionable people that will either contribute to or detract from their outlook on life and emotional development. We have all heard the stories about an athlete being discouraged from future participation as a result of unthinking, unfeeling or uncaring behaviour by a coach. Sometimes this is irrevocable and means that we lose the athlete from the sport forever. Sport is a rich emotional experience – in sport we can experience the highest of highs and the lowest of lows. Specifically, track and field can produce the strongest and most frequently occurring emotional barrage – the margins between success and failure can be minuscule, the lure of a personal best is ever present but often frustratingly out of reach for long periods of time and we train relentlessly, often just to improve a performance by fractions of a second with no guarantee of success. These things can impact our mental state just as significantly as they impact our physical state over the long term. Qualifications and technical mastery are essential to the coaching equation. But are they enough? The really successful coaches are the ones who cannot only manage their own emotions but they can also manage the emotions of their athletes thus contributing to their overall development and performance potential. Can we develop emotional intelligence? Yes, we can. And the process is analogous with how we develop our athlete’s physical capabilities. Just like we identify the different elements or competencies that underpin excellent athletic performance in each event that we coach and purposefully apply training principles to their development, we can do the same to develop the competencies that underpin sound emotional intelligence. We explore some of these competencies below. Self-awareness is about being aware of the behaviour you demonstrate, your strengths and limitations, and the impact you have on others. Without a high degree of self-awareness, managing your emotions is simply not possible. When we are self-aware, we are present with ourselves and our athletes. Awareness of our emotions and moods at any point allows us to make constructive decisions and to respond effectively in any given situation. “What am I feeling in this moment” is the usual question we ask ourselves when we are exposed to an event that has stirred up our emotional brain. This simple question often provides enough space for the thinking brain to intervene before we do something or say something we will regret. We have all seen the effect of an individual who has little self-awareness. They often leave a trail of emotional devastation in their wake, blissfully unaware of the results of their unconsidered reactions to events. Awareness of others is about noticing and acknowledging others, ensuring others feel valued and adjusting your coaching style to best fit with others. When we are aware, we can be empathetic to our athletes needs which is critical to their safe and long-term development. We all know that athletes can be notoriously sensitive to feedback and often are riding the ragged edge of fatigue which makes them emotionally vulnerable. Knowing when to push and when to back it off is one of the hallmarks of the aware coach – this is often as much about using instinct and gut feel as it is observing the physical signs in the athlete. Our situation is often further complicated by the need to manage not only the athletes needs but also their parent’s expectations and often our squad will consist of different ages, genders and abilities so the ability to be empathetic to all these different needs is critical. Authenticity is about openly and effectively expressing yourself, honouring commitments and encouraging this behaviour in others. Authentic coaches are trustworthy and they are genuine in their interactions and in what they are trying to achieve. They do what they say they are going to do. 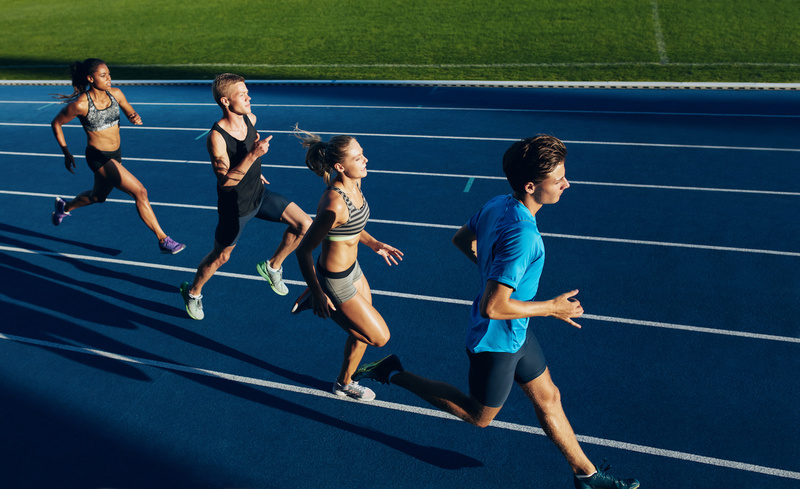 One of the criticisms that can be levelled at coaches is that their own needs take precedence over that of the athletes – their success is of greater importance than the long term wellbeing of the athletes or the experience that they are having. Authentic coaches have conversations with their athletes and their parents to ensure that every one is on the same page and they facilitate the input from the athlete and are prepared to engage in open and robust debate. Authenticity requires that we can admit our mistakes and acknowledge that we might not necessarily know everything - we will seek advice in order to create the best opportunities for our team. Steadfastly sticking to “conventional wisdom” is not authentic, we should be prepared to experiment and try new things, expanding our knowledge base and considering new information with an open mind. Emotional reasoning is about using the information in feelings (from ourselves and others) and combining it with other facts and information when decision making. Feelings and emotions contain important information – for example, if your athlete is frustrated or stressed then these feelings provide insight into how things might or might not be working for them. Coaches who have this skill make expansive decisions, those who do not make limited decisions based on facts and technical data only. Even the most carefully considered and theoretically perfect training program that looks brilliant on paper is useless if it creates negative emotions in the athletes. This is particularly relevant when we are training more junior athletes and are making decisions on the balance of feel good, fun training components and the grinding hard work components. We need to look at the bigger picture and the long-term developmental aspects of what we are doing. Emotional reasoning requires the courage of our own convictions and the ability to use gut feel and instinct to make decisions. Reflecting on feelings when we make decisions is a rich source of insight into that decision. Self-Management is about managing one’s own moods and emotions, time and behaviour and continuously improving oneself. We all have busy lives and are exposed to various stressors. Throw in the time we spend coaching and the ability to manage ourselves becomes critical. A coach’s mood can be very infectious – if we turn up tired, stressed or distracted then our athletes do not get the full experience that you have committed to give them. If we are complaining about the weather or the track condition or the water in the throwing circle, then we give our athletes permission to de-energise and also experience negative emotions. If we are present, engaged, enthusiastic then so too will be our athletes. If we just get stuck into the session, sweeping aside all difficulties then we are setting a brilliant example of problem solving and succeeding despite difficulty. Potentially, the greatest benefit that flows from conscious self-management is that of resilience. Resilience means that we can bounce back from adversity, we can learn from both triumphs and disaster and we can quickly adapt to changing circumstances. We enjoy more positive than negative emotions on balance which means that the emotional energy tank does not run dry. An athlete attempting to reach a higher level of competitive performance needs to see resilience role modelled so they can learn this skill. You cannot reach the top unless you are resilient. Finally, inspiring performance is about facilitating high performance in others through creating the environment in which they will flourish and succeed. Coaches who inspire performance encourage and guide, they provide constructive feedback in the right way and at the right time using the right words. A coach will set realistic goals that are meaningful to the athlete (their goals not yours) and they will provide a safe, fun and creative training atmosphere, one in which distractions and interruptions are managed skillfully. A coach who can do these things without fanfare or the need for recognition, earns respect. Inspiring coaches recognise that high performance requires an integration of mind and body and that they might not be equipped to provide the full spectrum of developmental requirements so they will actively seek assistance. 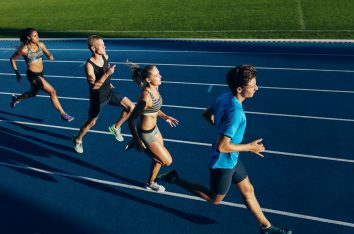 They also know when to move their athlete on to other, potentially more appropriate coaching environments, so that the athlete can continue to flourish. Considering these 6 competencies, it become evident that they are all founded in and dependent on the first competency – self-awareness. Without self-awareness we cannot develop the other competencies. “Know thyself” is as relevant today as it was in ancient Greek times. Quite possibly, developing emotional intelligence might just be the thing that takes your coaching to the next level. And here’s the thing, developing emotional intelligence can be both game changing in a professional sense and life changing in a personal sense. When we understand emotional intelligence, it is another skill that we can pass on to our athletes to empower them for the future. Now we can help them to become resilient, enjoy positive relationships and even manage that anxiety on the start line waiting for the gun to go off. Which all makes it a pretty compelling proposition. With permission, the six competencies have been adapted in this article from the Genos International Model of Emotionally Intelligent Leadership Competencies.